At first glance, the congressional map looks so clean, free of curlicues and serpentine hydra. By contrast, the 2011 congressional version appears to be a abstract drip painting. The difference between the two? The 2011 version was>> drawn and passed by the conservative legislature, and later declared unconstitutional by a federal court. 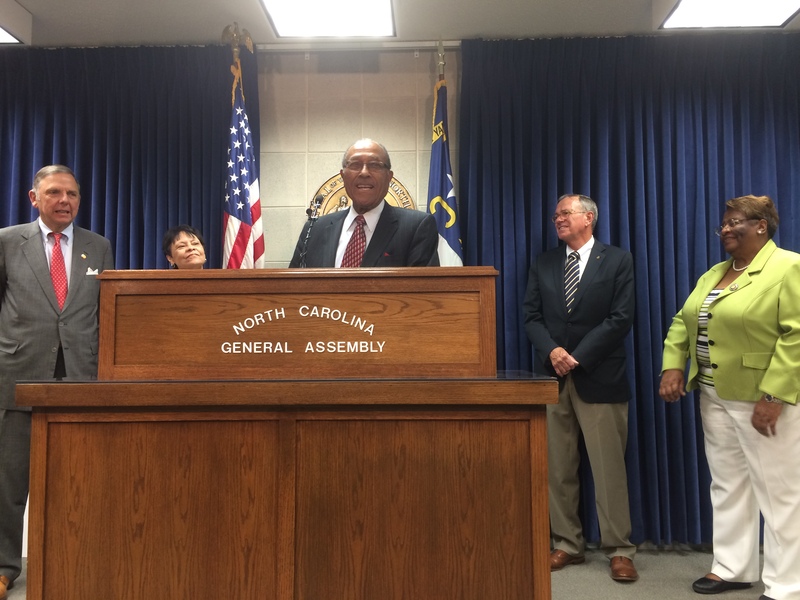 The independent redistricting version, unveiled Monday, was a simulation undertaken by 10 retired state supreme court and appellate justices in conjunction with>> Common Cause North Carolina and the >>Duke University Sanford School of Public Policy. The exercise was intended to demonstrate that maps can be drawn fairly and without partisanship. “This map is free of politics,” said >>State Rep. Rosa Gill, a Wake County Democrat, at a press conference about the map on Monday. >>State Rep. Gary Pendleton, a Wake Republican, also attended in support of the map. And in the end, six districts leaned Republican, four Democratic and three were a toss-up. 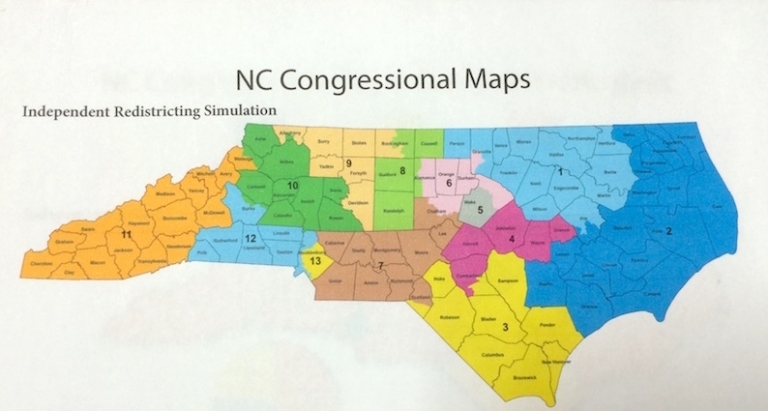 Previous maps drawn by conservative legislators ran 10-3 in favor of Republicans. 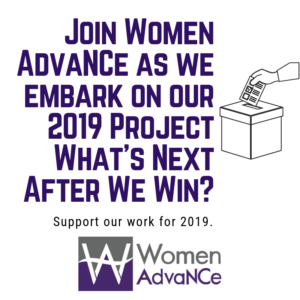 To draw the districts, the justices, led by >>Henry Frye and >>Rhoda Billings, and Duke data-crunchers used only the rules established in >>House Bill 824, legislation that Senate conservatives blocked in 2011. In other words, they used math, geometry and the Voting Rights Act as their guides. “No district was drawn to favor a party, a member of Congress or to dilute the voting strength of minorities,” said Tom Ross, a former UNC System president and now a distinguished fellow at the Sanford School. Nor did the mapmakers use voting history or registrations to draw the lines. Instead, they kept the district populations similar — within 0.1 percent of the legal requirement. 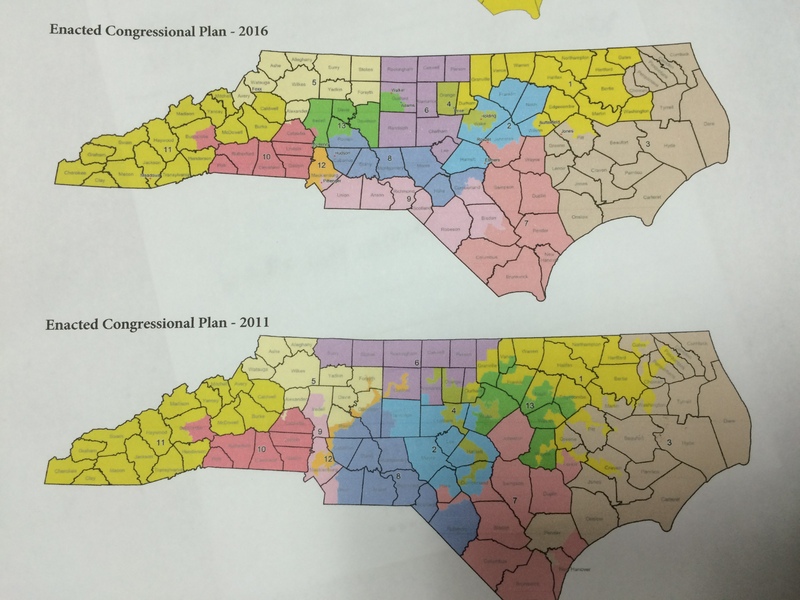 They minimized dividing cities, which is why in this version, Durham encompasses one district rather than the four prescribed by the 2011 map. The districts are also contiguous, reasonably compact and not irregularly shaped, Ross said, apparently referring to the old District 12, which snaked from Guilford to Mecklenburg counties. Or District 1, a smudge that started in Durham and extended across parts of northeastern and southeastern North Carolina. “We wanted to see what we could do to come up with a plan that doesn’t have to be fought in the courts,” said Justice Frye. “People are getting tired of having elections that don’t county because the map is unconstitutional,” Billings said.